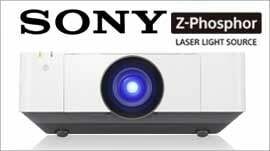 Semi-installation projector ideal for retail, show rooms, meeting rooms and education. Vivid, accurate images : The LX-MU500’s native WUXGA (1920 x 1200) resolution delivers sharper images, smoother graphics and text that’s easier to read. WUXGA resolution is ideal for both computer and video sources, and is especially suited to modern wide-screen laptops. The DLP panel maximises brightness and fine detail while minimising distortion like the ‘lattice effect’ often experienced with traditional LCD projectors. Flexible connectivity choices : The LX-MU500 offers HDMI x 2, HDBaseT and RJ-45 Network ports, creating compatibility with a wide range of digital video, computer and mobile sources. Use the HDBaseT port to transmit HD video, audio and control signals along a single LAN cable over distances up to 100m – adding convenience and flexibility to your system configurations and installations. 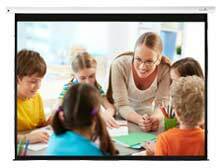 One of the projector’s two HDMI inputs is MHL compatible, enabling any MHL-enabled tablet or smartphone to be connected using a commercially available MHL cable.